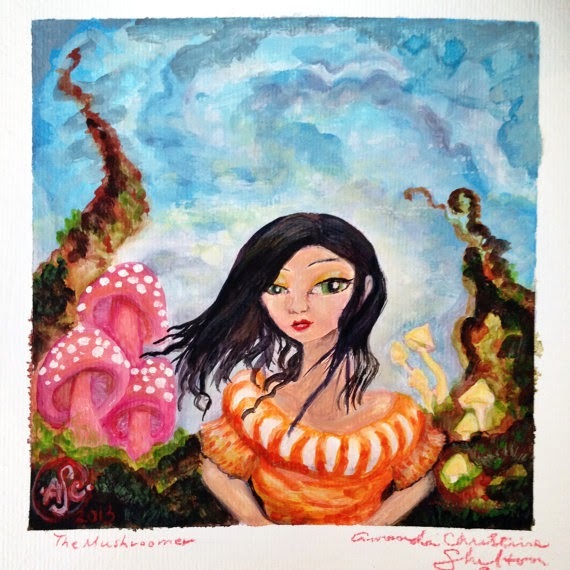 "The Mushroomer" is about 5.5x5.5 inches like the mountainscape gouache previously posted on this blog, on same type of paper and receiving the same framing treatment as a few others i have sketched out like this, and perhaps a few more landscape studies. I have noticed a lot of mushrooms and fungi themes in visual art lately and it has run parallel with the actual mushroom hunting that we do ourselves for a hobby. It is nice to be able to put those parts of our lives into our work. 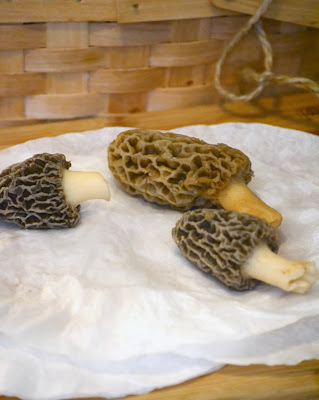 morels from this spring's very good season! i grew these in our kitchen window.